Members of the U.S. National Guard helped Border Patrol agents turn back more than 450 migrants before they could illegally cross the U.S. border with Mexico. The guardsmen provided increased surveillance and improved communications, officials stated. By providing increased levels of surveillance and communication, National Guardsmen help facilitate the stopping of 451 migrants from illegally entering the U.S., according to a report by the Washington Examiner. In addition, since April 15, the efforts of the guardsmen helped U.S. Border Patrol agents apprehend an additional 1,600 migrants after they illegally crossed. U.S. Customs and Border Protection officials stated that guardsmen freed up Border Patrol agents back to the front line to focus on direct border security. Agents were able to turn back a recent surge of criminal activity, officials stated. CBP and Department of Defense officials said that 775 guardsmen deployed along the border as of May 9, the Examiner reported. The guardsmen are providing “direct support on the ground” in seven of the nine Border Patrol sectors located along the southwest border with Mexico. 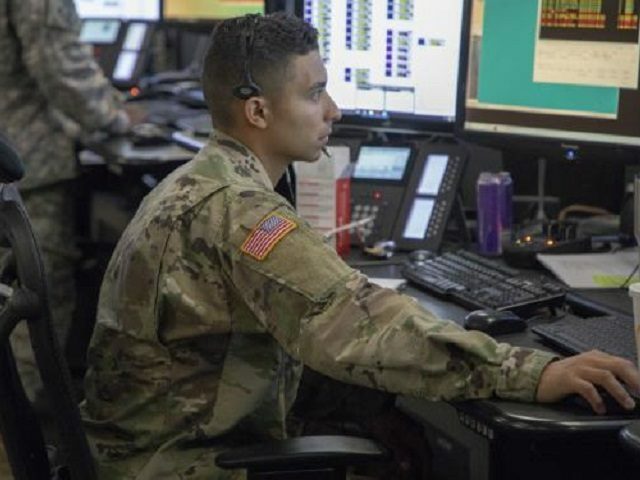 “Those folks are giving us the additional situational awareness in the radio rooms … which are allowing the Border Patrol agents sitting in those areas to go into the field,” one National Guard official stated. The official described the guardsmen as a “force-multiplier” for the Border Patrol. California has not yet deployed any of its National Guardsmen. However, California National Guard officials said they have 200 in training. These guardsmen are expected to deploy in the next few weeks. President Donald Trump approved the deployment of up to 4,000 along the nine sectors of the U.S.-Mexico Border. If Border Patrol officials request the additional assistance, the numbers of apprehensions and turn backs could increase significantly.